San Diego California is one of the west coast's best kept secrets for tourism and business meetings. 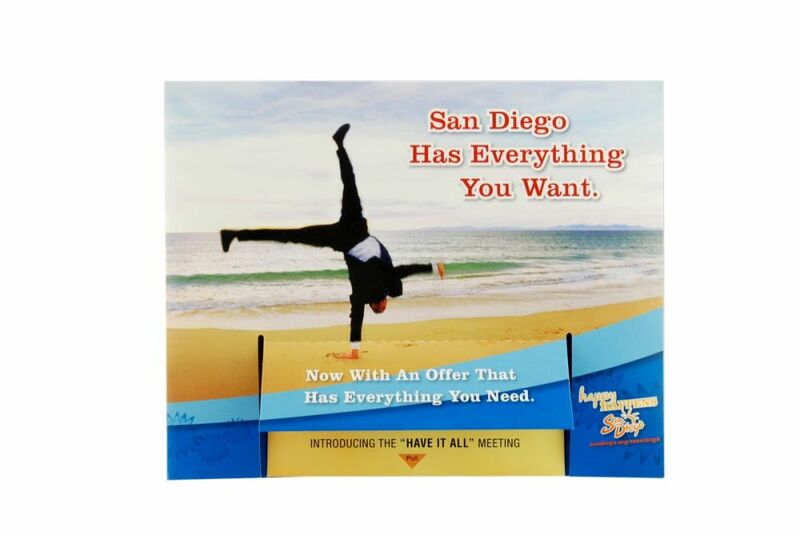 In order to compete with other west coast hot spots such as Los Angeles and San Francisco, the San Diego CVB wanted to promote itself to businesses that were looking for a good place to hold conferences or meetings. They decided that a direct mailer was the best option to reach out to prospective visitors. 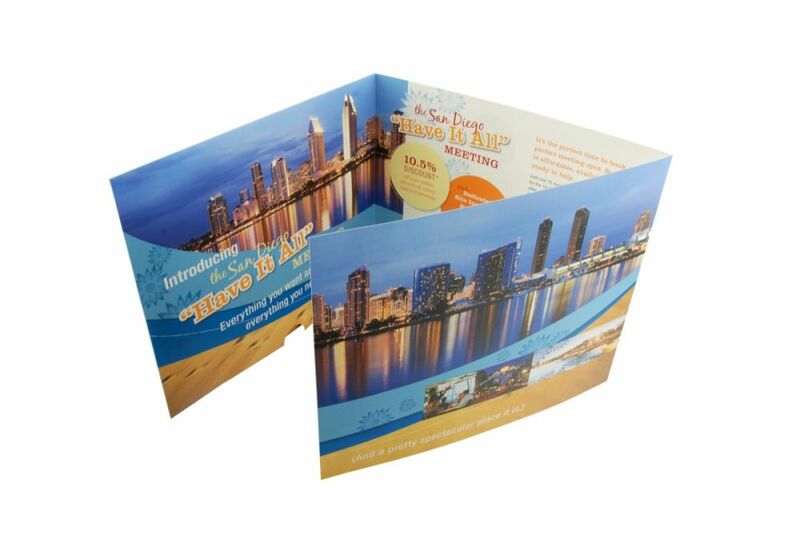 When the San Diego Convention Visitors Bureau approached Americhip with the project, it was evident that the mailer needed to be highly engaging and informative. The selected design was one of our most popular patented dimensional technologies: the flippit. It can morph, zoom, animate, and reveal new images. 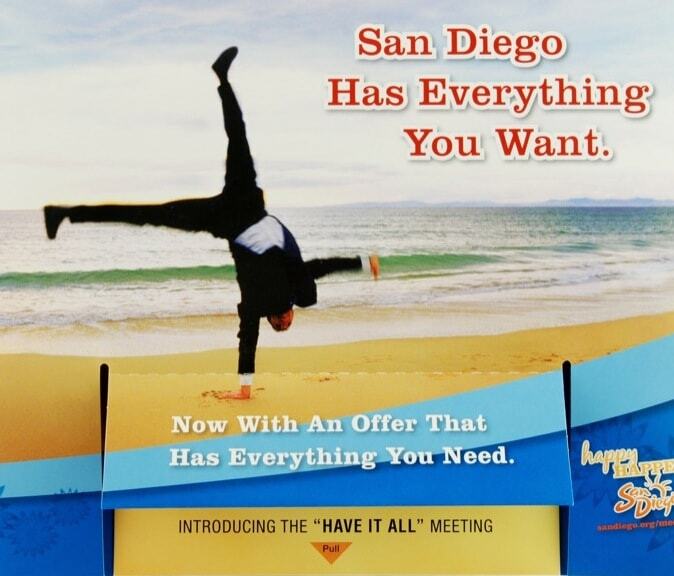 It was a perfect way to showcase the beauty of the city as well as inform readers of the different benefits of holding their business meetings in San Diego. 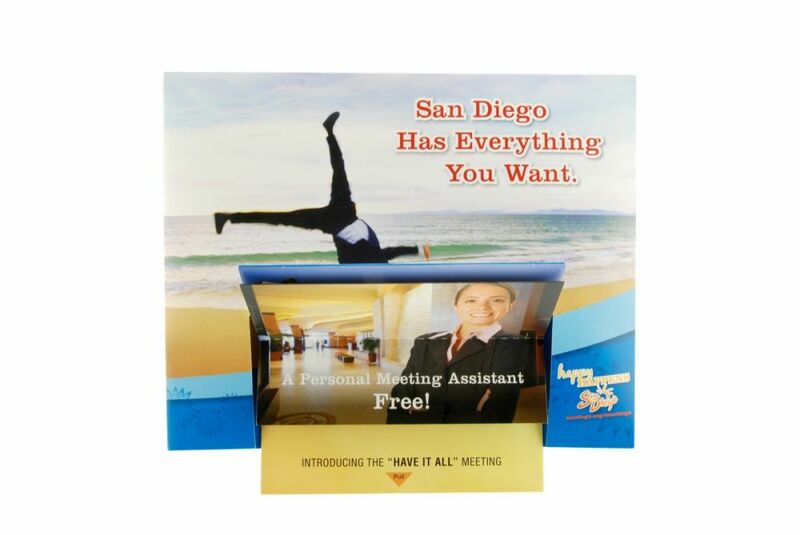 The final execution was a tri-fold mailer with the Flippit technology on the cover. 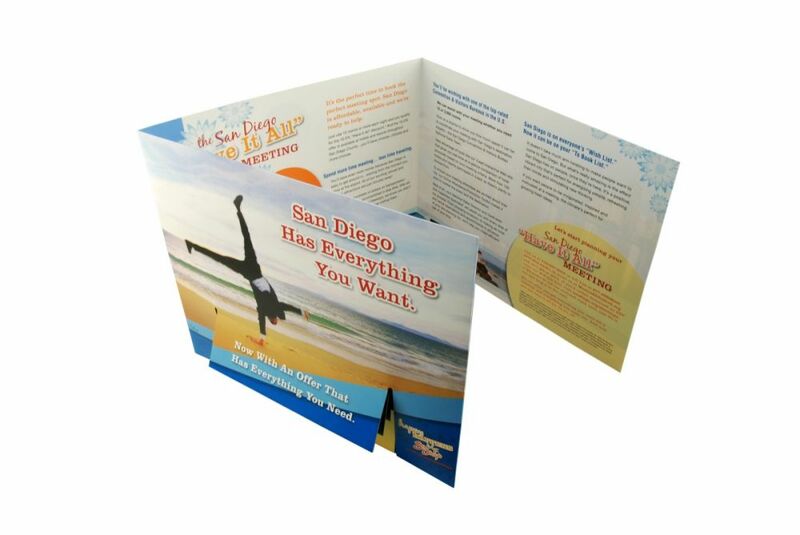 The colorful mailer was fun yet informative giving the San Diego CVB a great tool to showcase what San Diego had to offer.